The indicator wheels of the MNK-RP water meter series are housed in their own chamber, which is filled with a special protective fluid. Thanks to the protected indicator wheels, the water meters deliver optimum measurement results, even in difficult conditions. As well, no water, and hence also no suspended particles, can reach the dial level of the water meter. 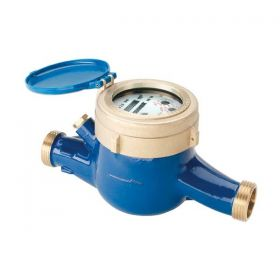 Accordingly, the MNK-RP water meter is always legible, even in heavily contaminated water or in water containing ice. The version MNK-RP-N is retrofittable with pulser (reed) for remote readout systems.